Together the Manual and What Works seek to facilitate the provision of pro bono legal services to address unmet legal need and further access to justice. Written by experienced pro bono professionals, it provides practical guidance on the key elements required to operate a successful pro bono practice, including a number of pro forma precedents generously contributed by participating firms. What Works, first published in 2013, aims to help those involved in providing, seeking and brokering pro bono legal assistance to develop successful pro bono partnerships. 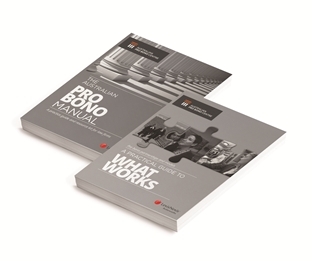 For lawyers and firms offering pro bono assistance, and for community organisations seeking it, What Works provides a deeper understanding of how to build and strengthen relationships with pro bono partners; case studies that identify the features of successful pro bono projects; and how to address common challenges. The Manual and What Works are published with the generous assistance of LexisNexis®, a leading provider of legal information, and an organisation committed to supporting professionals and organisations that work to further access to justice. 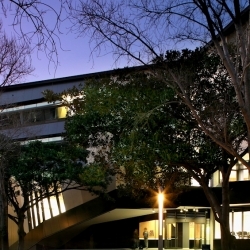 Both publications can be purchased from LexisNexis® and are also available through the Centre’s website, www.probonocentre.org.au.